The Speaker of Parliament, Rebecca Kadaga has asked the Ministries of Agriculture, Finance and the Uganda Peoples’ Defense Forces to conclusively address challenges faced by fish maw traders association. The Speaker observed in a meeting with authorities from the three departments following the tabling of fish maw traders Association’s petition accusing the army of brutality, and government of multiple taxation among other allegations. The association led by Charles Tebandeke contends that their rights to freely trade or deal in fish maws has been indirectly taken away and sidelined in favour of foreigners by discriminative policies set by the Ministry of Agriculture. “Some of our colleagues have been subjected to corporal punishment, confiscation of fish maw stock and disposal under unclear circumstances, tortured, maimed and violently subjected to inhumane and degrading treatment by fisheries protection forces,” he noted. Minister of Agriculture, Vincent Ssempijja, who praised the army’s intervention in the fishing industry, admitted gaps in the law, which he said government is addressing, “ A draft of the said law, already approved by Cabinet, is already before the Solicitor General and will be fast tracked to address any uncertainties,” He said. Adding “As far as the ministry is concerned, we have no intention of getting people out of business. The problem is that generally, the fish maw issues have not been known to the government,”. He said they don’t have a specific regulation but government was going to come up with its own stand on fish maws. In the meantime, the meeting agreed, that the Permanent Secretary in the Ministry of Agriculture will issue temporary guidelines to cater for the traders as the law is ready. 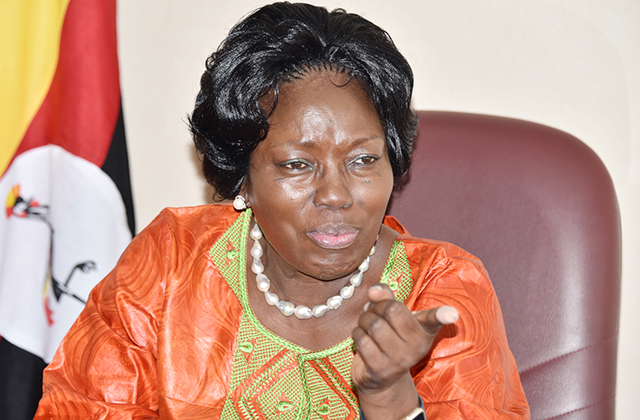 Kadaga said as parliament, they will not be part of any arrangement that impoverishes Ugandans and favour foreigners. “What is illegal about having fish maws, you want these traders to cut these fish maws from trees?” She asked. Lt. Col. James Nuwagaba, one of the commanding officers on Lake Victoria operation, defended the army and accused the petitioners of ‘lies and exaggerations’.